It’s academic conference season in many parts of the world; an opportunity to present your latest ideas and research to your peers (as well as practicing the art of conference networking). Once you’ve survived the challenge of a conference paper presentation, how do you use that experience to produce an outstanding journal article? In this latest researcher insight, Charlie Berry gives us her tips for doing just that. Charlie won the prestigious Curriers’ Company London History Essay Prize. Conference papers are a great starting point for writing a journal article which gets your research to a wider audience. In 2016, my piece ‘‘To avoide all envye, malys, grudge and displeasure’: sociability and social networking at the London wardmote inquest, c.1470-1540’ won the Curriers’ Company London History Essay Prize. In December 2017, it was published in The London Journal and was my first publication. The article was based on a paper I presented at the International Medieval Congress at the University of Leeds. The original conference paper was just over 3,000 words long, about 20 minutes of speaking time. In turning the paper into an essay for the prize and then into a journal article, I extended it to about 7,500 words. While you write conference papers to give your audience a snapshot of your evidence and arguments, journal articles ought be more in-depth. Here’s how I went about extending and improving my paper. When I presented my paper, I had quite a few helpful questions from the audience and my fellow panelists. These highlighted areas where I could improve the piece. Some of the most helpful were where people didn’t quite understand something in my original paper. This let me know where I needed to add more clarification. Getting feedback on a written draft from other scholars can also help you see which areas need the most development. My conference paper focused on my research using one particular document, the record of a late medieval neighborhood court. When writing my article, I incorporated other parts of my research which gave a much deeper sense of the historical context of that document. I used my social network analysis of local people to explore the careers and connections of men who served as jurors in the court. In an article you have more space to use and explain any use of innovative methodologies. Your article can explain the importance of your research for your field in much more depth than a conference paper. Think about the sort of secondary literature the readers of the journal will be familiar with. How does your work fit with or challenge it? If you’ve already written a literature review for your thesis, read it over and think about which relevant parts you could incorporate into your article. 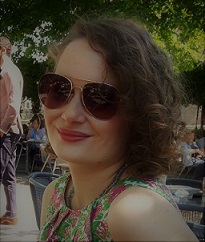 Charlie Berry received her PhD in History from the Institute of Historical Research, University of London in 2018. Her thesis was entitled ‘Margins and marginality in fifteenth-century London’. She is a Research Assistant at the Goldsmiths’ Company. In 2016, she won the Curriers’ Company London History Essay Prize and the winning piece was published in The London Journal in December 2017.